Have you been wondering what in the world happened to me?? So have I! The truth is that I spent the better part of the last 3 months in a constant state of “overhelmed-ness.” I was dealing with work, home, school, church, and all the other things that make up this thing we call “life.” Now, I am fully aware that I am not the only person on the planet with multiple balls in the air. Multitasking is simply a fact of modern day life, the rule rather than the exception. In fact, I do believe I saw it as one of the requirements on a recent job announcement! 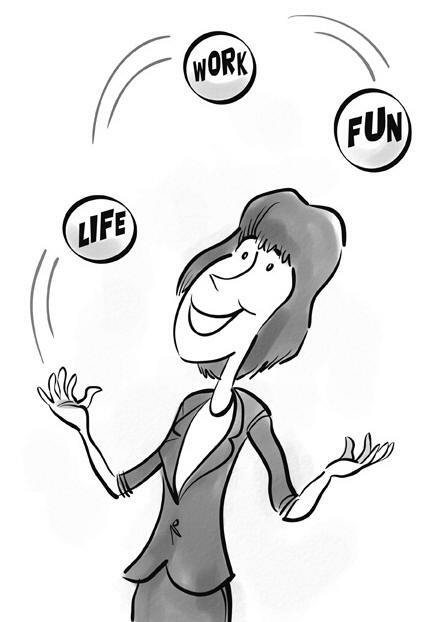 Here is the thing, I happen to be one who isn’t particularly skilled at juggling. I do better with nice, neat, orderly, one-task-at-a-time kind of thing. Would that life was like that, but alas it is not… Ordinarily I can fake it well enough to at least give the appearance of keeping up. Ever once in a while though, it gets the best of me and I just cave. I check out and slip into my own little world. Unfortunately many things suffer when that happens (see date of my last blog). There I was scrambling to get final papers done, study for my final, see about my dad who was rushed to ER, lead worship, maintain at work, submit my exemplify blog on time and squeeze a little “me time” in there somewhere. Oi Vey! Signs of a break down were all around me - fast food bags overflowing from the garbage can, barely a place to step in my room (always a dead giveaway), laundry up to my ears, and a perpetual upset stomach. By the end of the day I was reduced to a heap staring blankly at the TV or the wall - whichever was easiest - until I fell asleep. Somewhere in the process God got crowded out (I wonder why He is always the first thing to go when life gets crazy…) So yeah, personal bible study, prayer time, worship time - all of it was non existent and I could feel something in me shriveling up. I knew what I needed to do, but couldn’t seem to find the energy to do it. In the midst of everything God was near. I was aware of His presence in a new, constant and very real way. At the end of one particularly hectic day I contemplated whether or not to just go ahead and lose it. My mind was racing and I couldn’t get it to stop. In that moment, I heard God say “Come to me, all of you who are weary and carry heavy burdens, and I will give you rest” (Matt 11:28 NLT) Boy did that sound good to my weary soul! How great is it to serve a God who understands that sometimes we get weary and offers us rest in Him?! My intent was to turn, run and take a flying leap into His lap, but stopped short when the enemy chimed in (man, he gets on my nerves!) “Why should He receive you? You haven’t been reading or praying or anything. How does it look to run to Him when you need something, after ignoring Him for so long?” Wow, he is good, isn’t he? For a moment I started to take that nonsense in, but I was reminded of how I sensed God with me the whole time regardless of what I was or was not doing because he’s not like mankind. God is simply who He is independent of what we do; His love is unconditional and everlasting. How’s that for a pick-me-up?! I am forever grateful for the way the Father carried me through and allowed me to go through my process. As a result, I woke up this past weekend and just snapped out of my funk! Somehow it all got done. Here I am at the beginning of a hectic summer semester, but I’m not overwhelmed because I know I am not alone. So yeah, that’s where I’ve been.